Katie Fry is small, but she has a big brain. Are you like that? Then you’ll love her sparky mysteries. If a puzzle needs to be solved, Katie doesn’t sit around and watch. She gets to work. And she wants YOU to join the action! Katie has found a cute lost kitten named Sherlock. 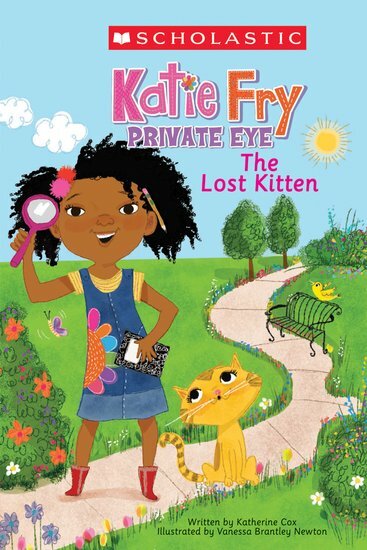 Can Katie find out where he lives and take him home? Solve the picture clues to help her! The perfect easy reader: bright colour pictures, a sparky sleuth and a cuddly mystery. The kitten is just the icing on the cake.